Get out with the Kymco Super 8 mobility scooter. 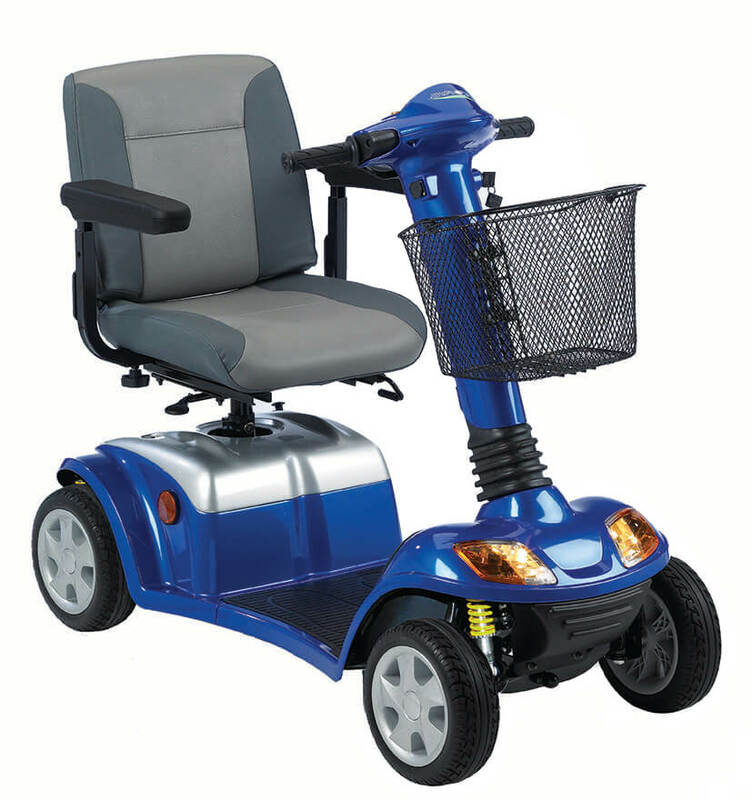 Enjoy the comfortable swivel seat and travel up to 20 miles for the independence you deserve. Price excluding VAT.(Incl. VAT £2,278.80) *VAT Relief available on this product. The Kymco Super 8 is the more powerful “road legal” version of the Super 4. This is an excellent 8 mph mobility scooter. It has a padded swivel seat that can be adjusted for height and leg length to ensure that you find the most comfortable position on your journeys. It also has a maximum range of up to 20 miles - great if you’re looking to go on longer days out. To make this scooter as maintenance free as possible, the battery is sealed to keep it safe from the elements. The 10” pneumatic tyres will ensure superb ride quality when driving across pavements, footpaths, and roads. Make no mistake, this mobility scooter is compact which makes it surprisingly easy manoeuvre in tight spaces or crowded places. Whether you’re a beginner or advanced scooter user, you’ll find the super 8 refreshingly easy to drive thanks to the soft grip handlebars and simple controls. To find your optimum driving position, simply adjust the steering column and seat position for maximum comfort; there is plenty of legroom for those who are slightly taller. This scooter comes complete with a full lighting package to keep you safe on darker evenings and in adverse weather conditions. The Kymco Super 8 is a fantastic choice if you’re looking for a versatile scooter that you can use on the roads, pavement, or local shopping trips. This model is available in two colours: Glossy black and Sapphire blue.